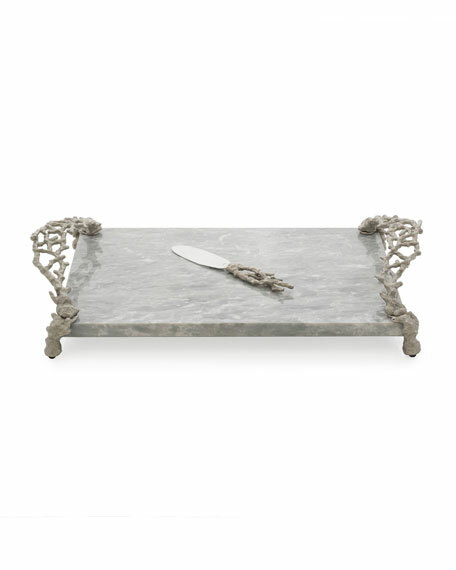 Marble cheese board with nickel-plate and washed enamel detail. Board: approx. 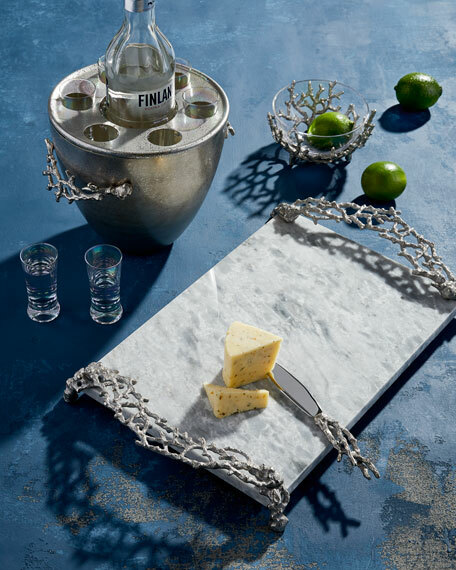 18"L x 11.25"W x 3.75"H.
The Ocean Reef collection is inspired by the bounty and beauty found on the ocean floor. The ocean is symbolic of freedom and limitlessness, and coral represents renewal and strength. Coral reefs are also associated with healing, transformation, and refuge in the face of change. "I was inspired by the resilient beauty and the tranquility of the undersea world. I remember picking up shells and bits of coral as a child and imagining the quiet strength of the undersea universe from which they came."